The Bielski and Parczew partisan groups kind of underscore your point. But they also undermine it a bit, since those armed groups were never successfully eradicated, despite massive efforts to do so. 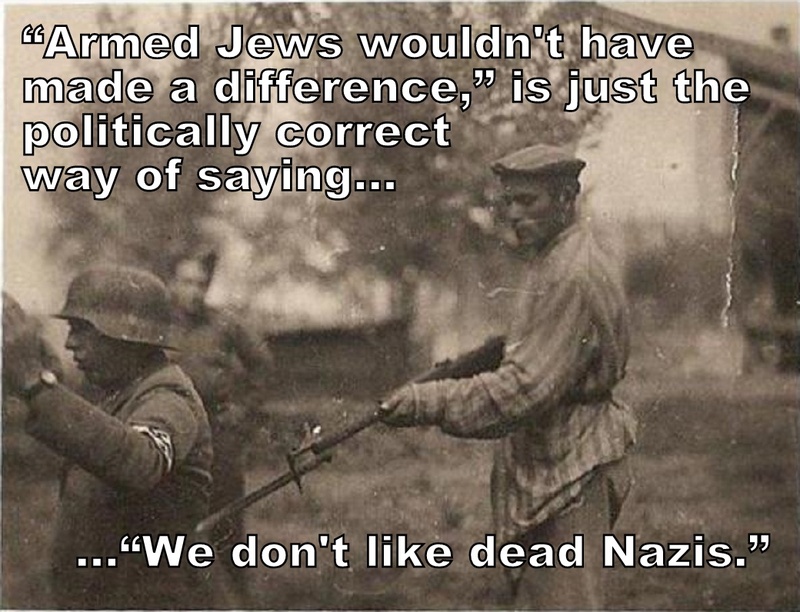 If every Jewish community had retained some arms and fought from the beginning… Oh how they must have burned. Dammit, they literally did. Yeah, fighting back offers no guarantee of survival. Hell, it does not even offer a guarantee of taking one – or more – of the bastards with you. But it offers you a chance at both, and even looking past the vengeance/retribution aspect, one less Nazi is a strictly good thing, and it will make the next one think more seriously about what he is doing.